This is what you want to know more about, isn’t it? Snakes! Snakes are fascinating creatures and I learned a lot about them while researching this book. Snakes don’t really grow as big as Daray does in Feeding… at least, not anymore. 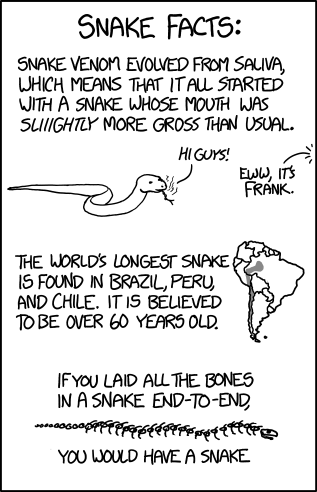 Here’s a good place to start to learn some basic information about snakes in general. This entry was posted on July 15, 2015 by Cody L. Stanford. It was filed under snakes and was tagged with snakes.